Convenient units are equipped witheasy-to-use Quick Start 1-2 Go software. Dual-frequency ultrasound has a 5 cm 2 sound head, with 1 MHz and 3.3MHz frequencies, 10%, 20%, 50% and continuous duty cycles, and headwarming. Optional 2 cm 2 and 10 cm 2 sound heads are interchangeable,thanks to unique Electronic Signature control. 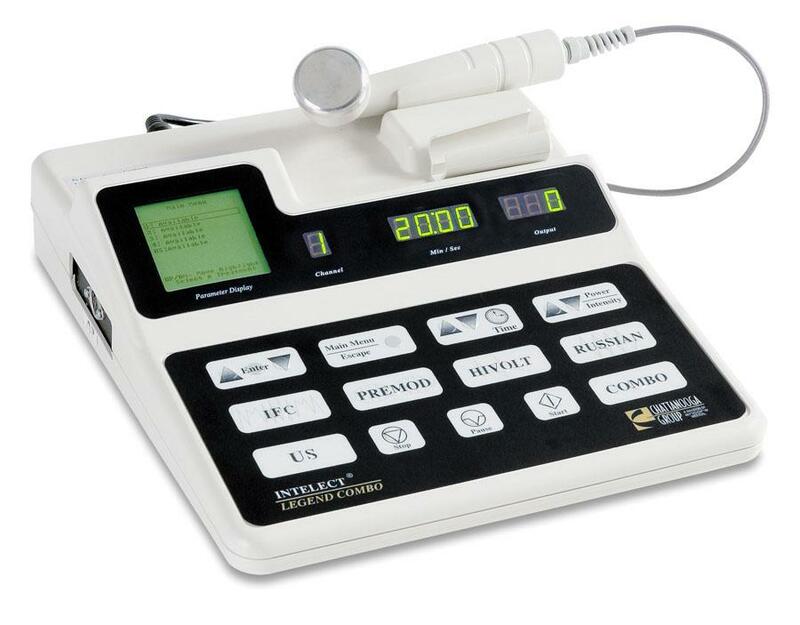 Ultrasound operation is independent or in combination with premodulated, interferential and highvoltage waveforms. ETL listed and cETL certified.